Vhong Navarro returns to the big screen with his brand of comedy in Unli Life, Regal Entertainment Inc.'s upcoming movie offering. The film is also Regal's official entry to the forthcoming Pista ng Pelikulang Pilipino film festival. Just last year, Vhong entertained the audience with two comedy films, : Mang Kepweng Returns and the blockbuster hit with Lovi Poe from Regal Entertainment, Woke Up Like This. With Unli Life, the talented comedian is sure to tickle our funny bones once more with his impeccable comic timing and witty dialogues. Having been in the industry for 26 years, Vhong has made his mark in comedy genre and his comedic flair for likened to that of Hollywood star Jim Carrey. By drinking “wishkey,” (name of Vhong's character) is transported in different time periods, such as the Dinosaur Era, Magellan, and the '70s Era, in an effort to correct his mistakes and prevent her girlfriend from breaking up with him in the current time. The film tackles about how much willing one is willing to go great lengths to get back that one person you love the most and what one is willing to do just to preserve it. After making the country proud by being the first-ever Filipina contestant and eventually crowned Reina Hispanoamericana 2017, Unli Life marks Teresita's comeback to acting. Teresita, together with her fellow beauty queens from Miss World Philippines, signed up with Regal Entertainment, Inc. last October 2017. Unli Life also marks Teresita's first major role and as a leading in the movies. The movie is directed by Miko Livelo, and Unli Life marks his second full-length commercial directorial job. His credentials include being the writer and director of the 2013 indie film Blue Bustamante and as a writer for number of television series. 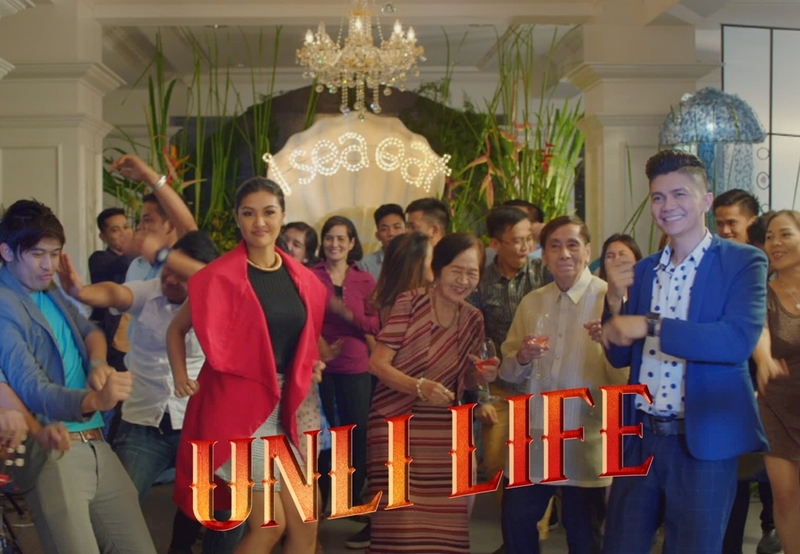 Unli Life is a star-studded movie that also stars Joey Marquez, Ejay Falcon, Donna Cariaga, Jon Lucas, Isabelle de Leon, Alex Calleja, Kamille Filoteo, Red Ollero with James Caraan, Anthony Andres, and Jun Urbano. Special participation includes Dimples Romana, Joem Bascon, Jun Sabayton, Epi Quizon and Jhong Hilario. Pista ng Pelikulang Pilipino opens August 15 - 21. For more updates, follow Regal Entertainment Inc on Facebook, @RegalFilms on Twitter, @RegalFilms50 on IG and Regal Cinema channel on YouTube.